It’s a tale told a thousand times a day across the North American continent. Will he swing and miss? Will he continue his winning streak, and hit the ball out the park? 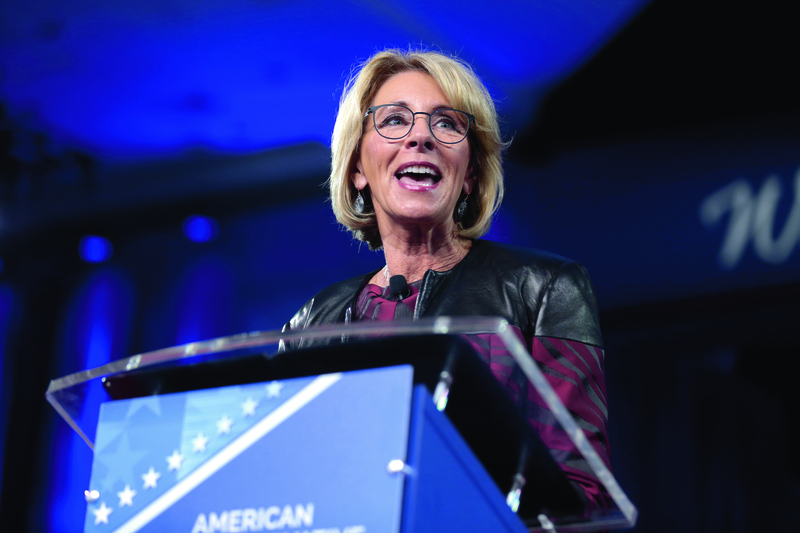 As we move into the latter half of 2018, the US international education sector finds itself in a similarly precarious situation. Two years since Donald John Trump won the most debated – and divisive – US presidential election in a generation, the industry continues to contemplate his impact. And The PIE has discovered that question marks remain the most adept symbol to describe the situation. “America first. It’s going to be America first.” Those were some of the first words the 45th president of the United States chose to address his nation and the world. And perhaps for the millions of mobile students making a life-changing decision each year, this remains the case. Both Jessica B. Sandberg, the head of international admissions at Temple University in Philadelphia, and Sherif Barsoum, head of international at New York University, say the HE recruitment situation remains relatively stable. “We have a healthy application pool this year and are hoping to bring in a freshman class similar to last year’s size,” Sandberg relays. “We were able to host a record number of admitted student events this year – 11 cities outside the United States including Mumbai, Seoul, Beijing, Sao Paulo, and Ho Chi Minh City,” she adds, pushing home the point that students are still interested in the US. For NYU, Barsoum says the view from outside remains as positive as always. 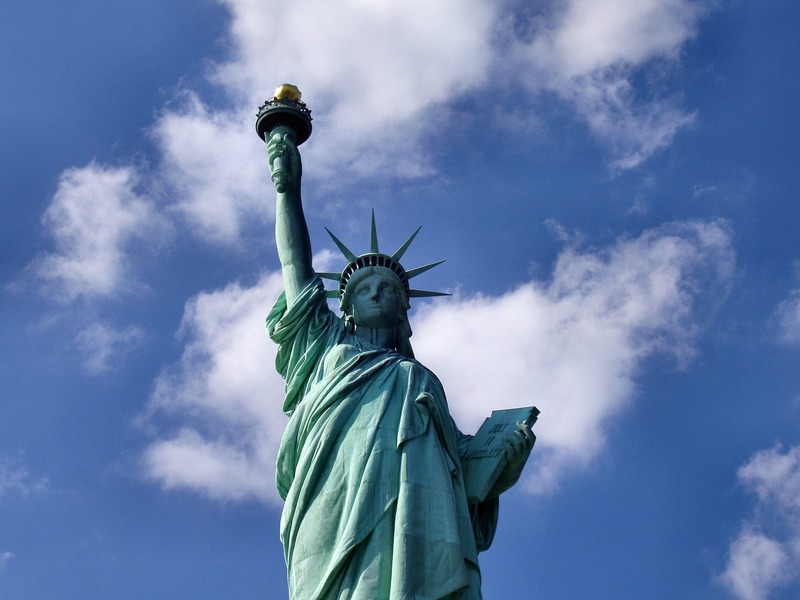 But then, this is the city of Lady Liberty. “We’re a bit different because we are New York City. I think people expect us to be more liberal, and we’re seen as a bit different to ‘middle America’,” Barsoum suggests. “New York City is a diverse place so people understand that,” he continues. “We have not seen a negative impac t as of yet of any of the Trump administration’s policies.” From the Bronx to Shanghai, to the Scottish Highlands, the popularity of the Yankee cap remains high, after all. Josh Clark, the director of external relations at Hawai’i Preparatory Academy, echoes the statements from those in the HE sector, as he says the boarding schools in Hawai’i aren’t heavily affected so far. But for others across the US, that might not be the case. “There are some schools we’re hearing from which are showing declining enrolments, even though it hasn’t hit us yet, we don’t want it to hit us,” he says. To counter the trend, Clark is aiming again at his most fruitful markets. “We want to go back to major producers and not turn our back on them,” he tells The PIE. Back in HE recruitment, IIE and State Department data released in the annual Open Doors report suggests that the view from the outside may instead be one of a slowly closing door. The latest available information shows the number of new international students enrolled in US institutions actually declined by nearly 10,000 in the last academic year. That’s three per cent, and the first time such a drop has been seen since Open Doors began reporting this point. And this fall has not just affected the US higher education sector. The English language training business has also reported losses, according to Sonia Fantauzzi, National University Pathway director at ILSC Education Group. “International students who usually study abroad for the short-term are simply choosing other destinations such as Australia [since Trump’s election],” she says. “This has primarily affected students who wanted to stay for longer than three months,” Fantauzzi continues. The sector, it seems, is changing. But one area that isn’t experiencing the predicted drop – and is instead growing – is the homestay market. Julie Manche, the CEO of the American Homestay Network, says business is booming. “What I’ve seen with the universities and colleges is that they’ve been very interested in speaking with us and offering homestay to their students as an option on their websites because they’re getting pressure from parents,” Manche reveals. She attests that institutions are keen to differentiate their offer. “Where we’ve been here in the US, those universities, colleges, English language schools are looking for any way to increase business. So if they can offer homestay as an option, then they’re willing to do it,” she tells The PIE. And it’s this positive attitude that has led AHN to invest heavily, Manche confirms. Much like America’s favourite pastime, the US education sector is reliant on multiple factors. Trumpian policy may loom large, but it is far from all-encompassing. Safety in schools, in society at large, is also on the mind of anyone involved in sending of students to the US. The horrific event at Parkland, Florida, and the subsequent action from students across the 50 states made sure of that. “I think [our growth has] definitely come out of things that revolve around safety,” Manche expresses. Clark in Hawai’i agrees that despite its very location coming with a peaceful ‘Aloha’ spirit, parents are still concerned about the threat of gun violence. “Typically when we’re talking to families about [gun violence], we’re able to talk about the progression of our safety protocols over the years, because that is one of our top priorities,” Clark says. But although the issue may be slightly different in Hawai’i, Clark impresses that the school has established active procedures to ensure student safety and that parents have peace of mind. “We try to layer on top of that the idea that even though it’s unlikely, we’re not taking that for granted and we go through all these safety protocols and drills and things like that. That has helped,” he says. But away from the headlines, there are further issues with the US international education system, which are not viewed with the air of positivity that US stakeholders are known for. Betsy DeVos is education secretary in the Trump cabinet. 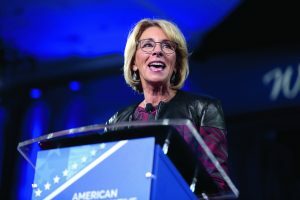 An internet search for her policies returns arguments with teachers, and an ongoing media discussion over whether she has visited any struggling schools. But when The PIE asks Barsoum his opinion of DeVos’ from an international point of view, he struggles to answer. Bruised the industry may be, but broken it is not. It remains the most popular global study destination by student numbers, and its post-study work OPT stream is a clear magnet for many students in the higher education system. Of course, there are concerns about the longevity of this visa stream, but for now, OPT remains. The industry has also embraced the You Are Welcome Here campaign and stakeholders now enjoy solidarity. Very much like its transatlantic cousin, We Are International, it is simultaneously a marketing effort and an ideological statement. The campaign aims to attract students, and ensure the world knows that US minds and markets remain open for business. Sandberg is also one of the leaders of the campaign and states that more is to come. “We will soon be moving into a new phase that will focus on support and engagement for and with international students who embody the #YouAreWelcomeHere spirit,” she says. As Sandberg and the enrolment figures suggest, future international leaders are still flocking to the US. But the floodlights are on, America, a strike is on the board, and the next batter is up; what happens next can only go one of two ways.